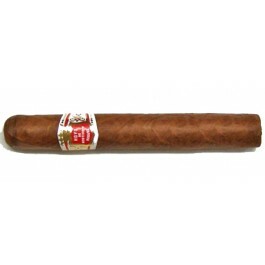 The Hoyo de Monterrey Hoyo Du Depute is a celebrated medium bodied Short Panetela, 4.3” (110mm) long, of 38 ring gauge, and comes in a 25 cigars box. The Hoyo Du Depute is a very good option for a flavorful cigar and when the time is of the essence. •	Medium bodied with woody flavors, as well as notes of sweetness, spices, floral aromas and a constant creaminess. •	2 years of aging are recommended for a creamier and more complex experience. This cigar is comparable to a Partagas Shorts. The cigar is looking good, the wrapper seems flawless, of medium brown color, with very few minor veins apparent. The cigar is smooth to the touch, no bumps, and with a nice oily sheen to the wrapper. It is firm between the fingers, with no soft spots. The wrapper smells of fresh wood and light tobacco. Once clipped the cap, the Hoyo du Depute reveals a slightly tight draw, but good nonetheless. The flavors at cold are of cedar, cream, lavender and clean tobacco. Once lit, the body of the cigar is in the medium to full range, the first flavor that comes is a straight toasted tobacco. The burn is a bit wavy, but corrects itself as the cigar goes along. The cigar produces a nice aromatic smoke while the ash builds up and holds on nicely at the foot. The first third of the cigar is really beautiful, the dominant flavors are of cedar and tobacco, but there are also rich notes of cream, roasted sweetness and cereal. There are also hints of fruits, honey, caramel, nut and some floral characteristics, among others. The flavors are not sophisticated but they all work very well together, and really helps creating an interesting smoking experience. At times, we can also have some leather hints of pepper and sesame oil. Overall, the first third is pretty powerful, right in the medium range. In the middle third, the flavor profile remains similar to the one we experienced in the first section. Then main changes are that the flavors are getting more intense, the body of the cigar is now in the medium to full range. Additionally, the creamy notes have completely left, and there is now more acidity coming from the floral notes. In the final third, the flavor profile doesn’t evolve anymore, except for notes of licorice and dark coffee that come and go. The body of the cigar is now closer to a full body, so it is advise to smoke this cigar slowly not too miss all the flavors. In summary, this Hoyo du Depute is a great short cigar, that packs a bang, maybe a bit too short.